Abila Millennium's Millenium operates as a non-profit CRM tool that gives all of Abila Millenium's clients a multi-tiered view of donor communications, giving activity, attendance at organizational events, as well as other types of relationships. 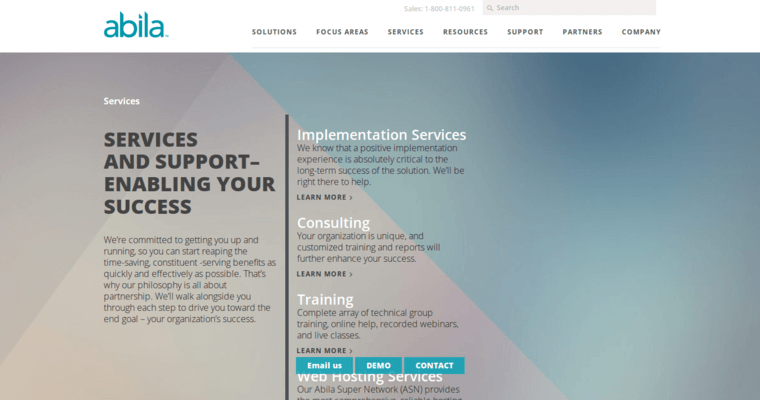 The Millennium tool allows you to manage all aspects of your development plan, from campaigns to events to memberships. 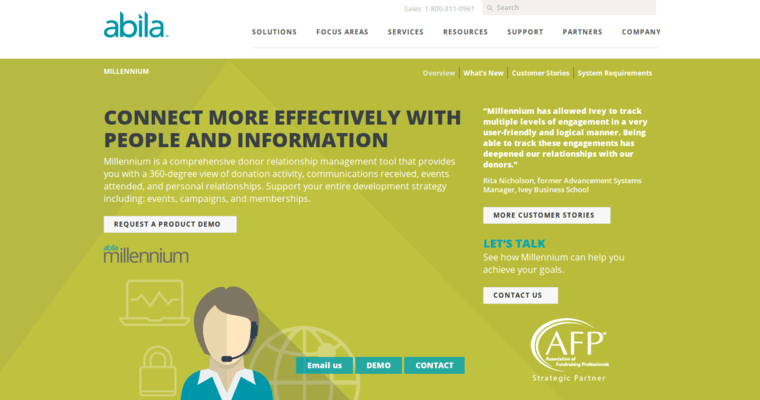 The staff at Abila Millennium have created tools that will help you cultivate relationships with your organization's donors. The Millennium tools help you learn about significant relationships and donor patterns. The power of the Millennium tool lets you create innovative strategies through your organization's workflow methods. Abila Millennium's CRM tool also allows you to increase the number of donations that your organization receives. The tool lets you make targeted events and campaigns for members and donors who want nothing more than to learn everything about your non-profit and support it financially.